How much CO2 could the World’s Most Powerful Computer save with 2-phase immersion cooling? As you may have read in the news, the 41st semiannual TOP500 list of the world’s most powerful supercomputers was announced a few days ago at the 2013 International Supercomputing Conference in Germany. 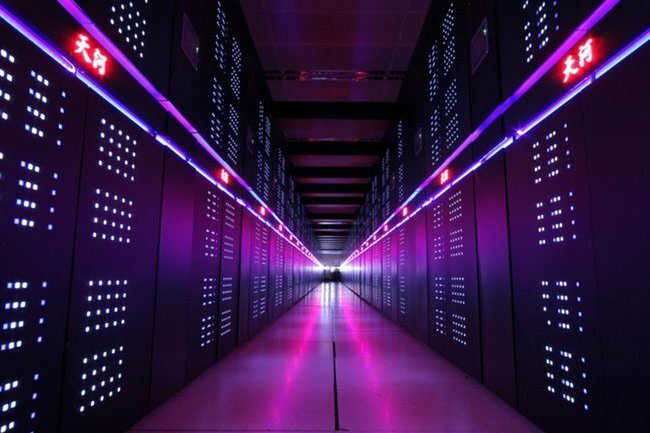 Weighing in at a hefty 33.86 Petaflops on the Linpack benchmark, China’s Tianhe-2 Supercomputer packs quite the computing punch, and now holds the title of “World’s Most Powerful Supercomputer” – at least for the time being. It’s more than 3,100,000 computing cores are made up of 16,000 nodes, each containing two Intel Xeon Ivy-Bridge processors and three Xeon Phi co-processors. This sheer computing power does come at a cost, of course; the myriad nodes need a considerable amount of electricity to keep them running, not to mention the extra juice needed just to keep them cool. Jack Dongarra from the University of Tennessee wrote an interesting paperfollowing his visit of the Tianhe-2 computer room a few weeks ago. According to his numbers, Tianhe-2 consumes 17.6MW at its number-crunching peak, with an extra helping of 6.4MW just for cooling. So the calculated PUE for Tianhe-2 would be 1.36. It is noteworthy that this record-holding supercomputing beast uses a customized closed-coupled chilled water-cooling system that will get its cool water supply straight from the public waterworks. And while Tianhe-2’s cooling system is certainly more efficient than any traditional air cooling systems, we couldn’t help but suspect that our own 2-phase immersion cooling system would allow it to remain cool with even less energy expended… So we thought we’d run some back-of-the-napkin numbers over our lunch break, to figure out what quantity of natural resources the Tianhe-2 could potentially save if it were to use our immersion cooling technology instead. With people around the world increasingly (and correctly!) 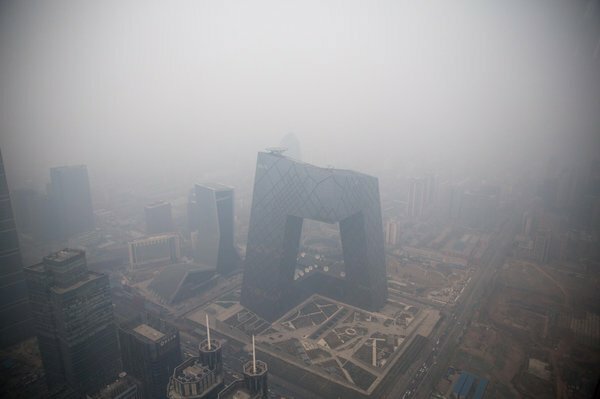 concerned about the unprecedented levels of air pollution in China, as is frequently reported in the news these days, we believe immersion cooling is not just a way to keep a random company’s yearly electricity costs lower than ever. Two-phase immersion cooling can also be a critical part of the solution to a much bigger problem which we _all_ face every day. Indeed, each additional computer that uses immersion cooling instead of traditional air cooling is actively contributing to reducing our global carbon footprint. And after all, who wouldn’t want our planet to be able to comfortably fit into smaller shoes of that kind?